Annie Vincent Interiors: My favorite highlights from Design Camp Atlanta! My favorite highlights from Design Camp Atlanta! 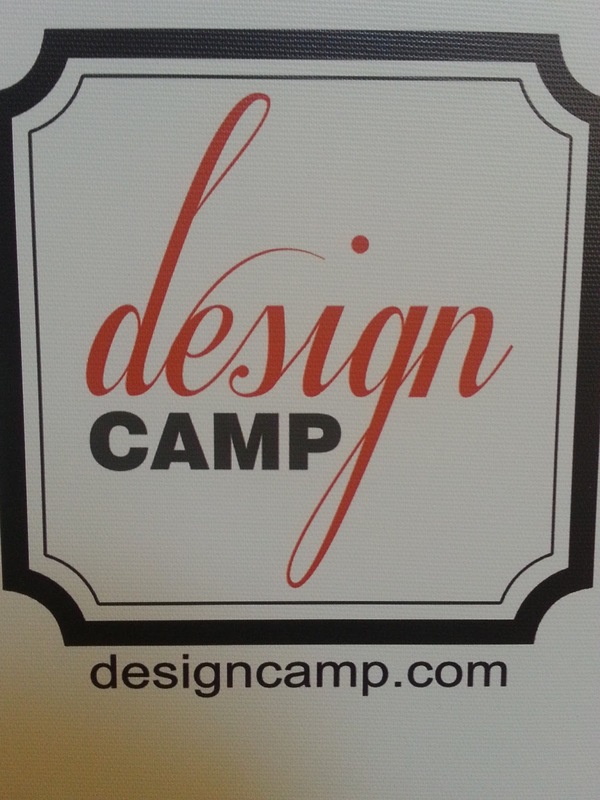 I am so excited to share with you my experience at Design Camp in Atlanta. I was so blessed by the generosity of Lori Dennis, Kelli Ellis and Traci Zeller to be able to attend. I have to admit when I took a look at the awesome list of camp counselors I was a little intimidated to be going. I would be learning from some major superstars! I was so surprised to find many genuine, warm, caring individuals that were so gracious in sharing and helping each other. Each minute of camp I was inspired and knew that I was learning things that would take my business to the next level! The first highlight for me was Barry Dixon. 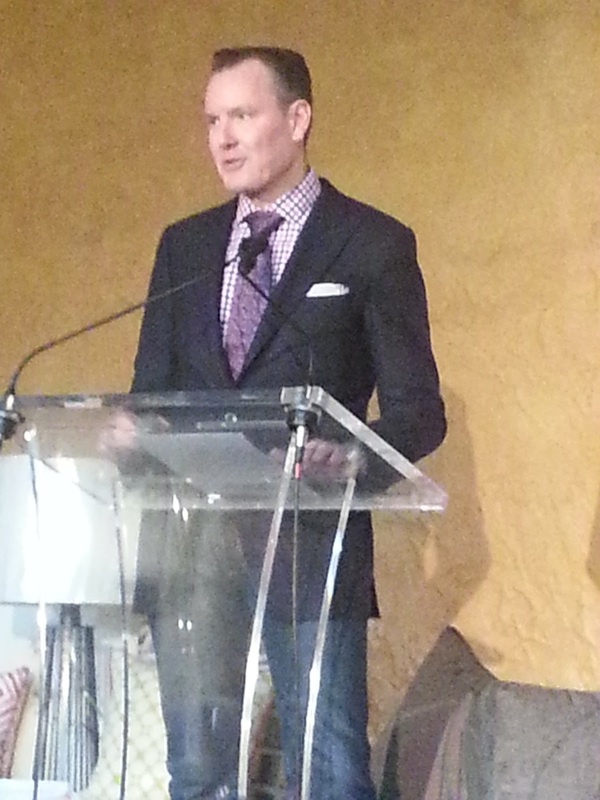 We also learned about the modern bathroom from Jason McNeely of Hansgrohe. Their products are manufactured in the USA. He showed us some innovative items in their product lines, and as a Certified Aging in Place Specialist (CAPS), has a soft spot for the baby boomers generation. Here is an interesting tidbit he mentioned: All designers need to learn how to design for our aging population. 50% of remodels are for this aging group. 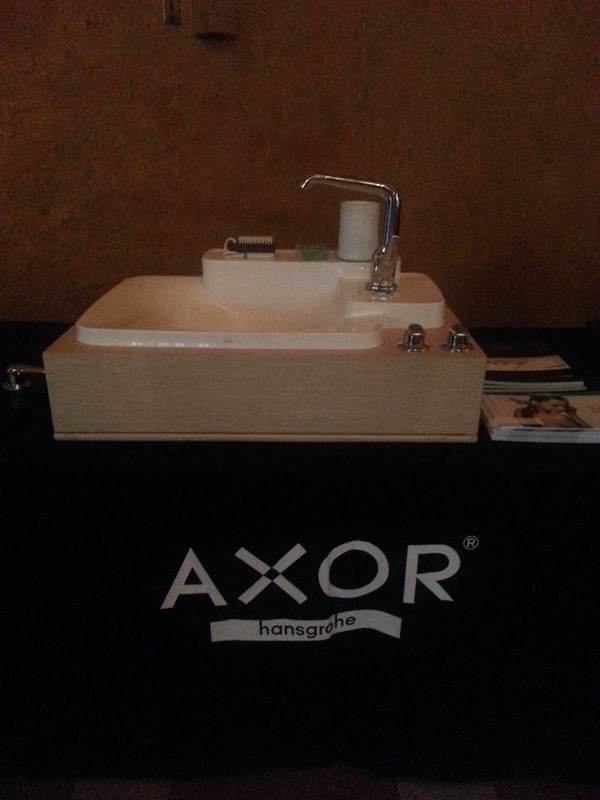 Hansgrohe have products like floor handles that are flush to ground, & sensor based! Everything could be hands free! So useful for the aging loved one in your life, or just for yourself! One of the sinks with lots of options for fixture placement. He also surprised all of us at the end by gifting every camper with a FREE Hansgrohe E 120 Hand shower! Maybe my bath remodel has moved up the list?!?! Susanna Salk was another I was anxious to see. She, along with Clinton Smith from -Atlanta Homes and Lifestyle magazine and Leslie Rascoe of Veranda talked to us about getting published. Something I think every designer wants! 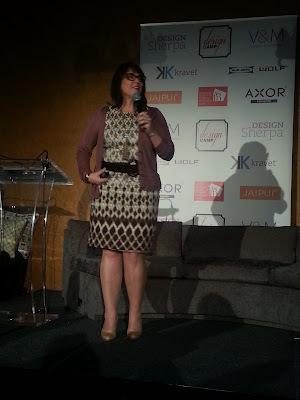 "Instagram is like bread crumbs to getting published"
She was an absolute thrill to see her in person telling the designers how to take charge! I am looking forward to diving into her books and would LOVE to attend her workshop. 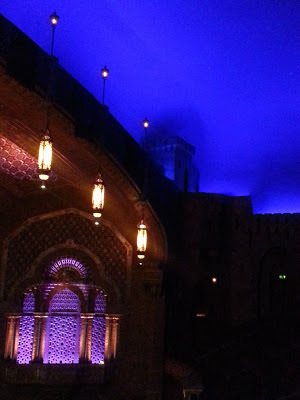 We were fortunate to have camp at the renowned Fox Theater! I went on a quick tour of the building after the camp. I wish I had a something other than my phone camera, what an incredible building! 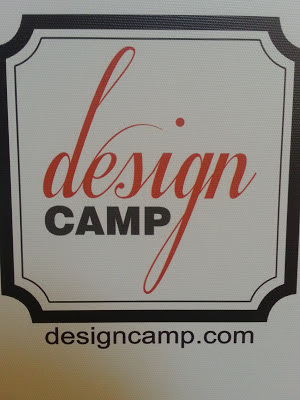 So many of my fellow campers and friends posted great reviews about Design Camp. Please check them out! Thanks to Tawna Allred for being a great roomate and a fun new friend! 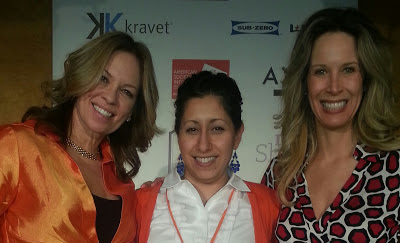 Another special thank you to Traci for being a wonderful mentor and friend, it was so fun to finally meet you and Deb. Finally, a huge thanks to my family for making it possible for me to attend. What will you do for your business this year? I highly recommend Design Camp. The next one is in Seattle May 1-2, 2013 early bird registration is going on now! Don't miss out! Love that Barry Dixon quote. Sounds like camp was an awesome experience! It really was! If you get the opportunity to go I would take it! Thanks for the amazing shout out. So happy to have met such fun people at Design Camp! Thank you for taking the time to comment! It really was wonderful meeting you. I am looking forward to your online classes opening up again! Loved reliving the event through your eyes Annie. It really was a highlight of my year....can't wait to get that faucet! It was an amazing event wasn't it? So good to finally meet you as well! So glad we met! All of the people were amazing. We'll have to do this again...."the world is ALWAYS a better place when you meet people like you and all the others that were there". Ha ha ha, my "twist" on Barry Dixon's words. And I'm going through Kimberley Seldon's second book. They are going to change my business and life...seriously. Can't express how grateful I am that we got to see her. Thanks so much Daisy! Was there something particular that interested you? I have thought about this for a while. I think the most important thing wasn't necessarily something that one of the speakers said (although they were all amazing)but the people and networking I was able to do. Everyone I met was honestly so nice and giving of their time, information and energy. It was really special. Sometimes I think design can get lonely, especially when you are out on your own. Couple that with coming across other designers who have a scarcity mind-set and you could feel really down in the dumps about things. But now knowing that people like this are out there, it has totally changed my outlook for the better.